Credit for Chubby Sticks goes to Clinique. They were the initiator of this genre of products and since every brand has jumped on the bandwagon. Clinique, of course has taken new spin on the product and released Chubby Stick Shadow Tint for Eyes. Now they’ve brought out another (or two!) spin on the concept and are releasing two new products. Blusher in stick form that gives sheer, creamy glow to your cheeks. It’s designed keeping busy women in mind, who can use every second and can easily save some by applying blusher straight form the sticks and blending with their fingers. I haven’t tried them fully, but from the swatches, they were wonderfully creamy and blended easily using fingers. The pigmentation was great too, you only need a light swipe for a subtle day time blush or you can certainly build it up. 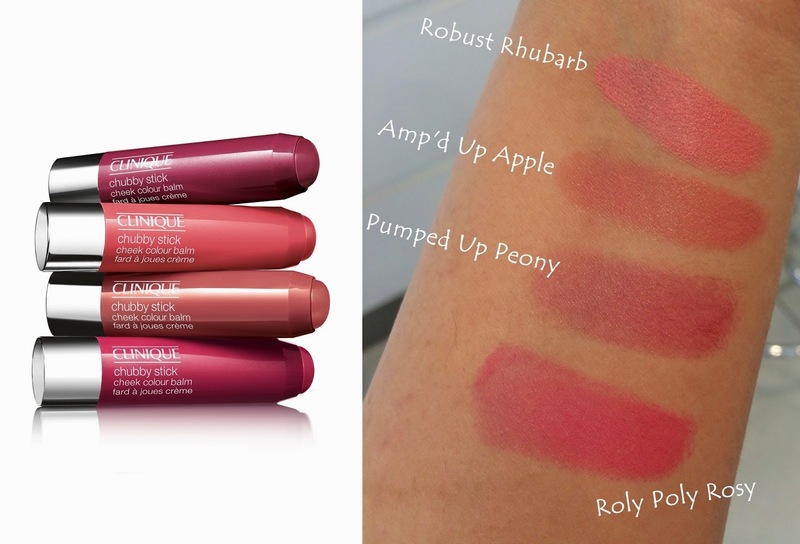 Available in four shades: Amp’d up Apple, Robust Rhubarb, Roly Poly Rosy, and Plumped up Peony. That’s a mouthful of a name isn’t it?! The range of four sheer shades allows your natural lip colour to peek through and add a slight tint for a very sheer wash of colour. The balm is very moisturising and not sticky, perfect for days when you want minimal makeup. The balm sticks contain Vitamin C, shea butter and jojoba seed oil to keep your lips soft. 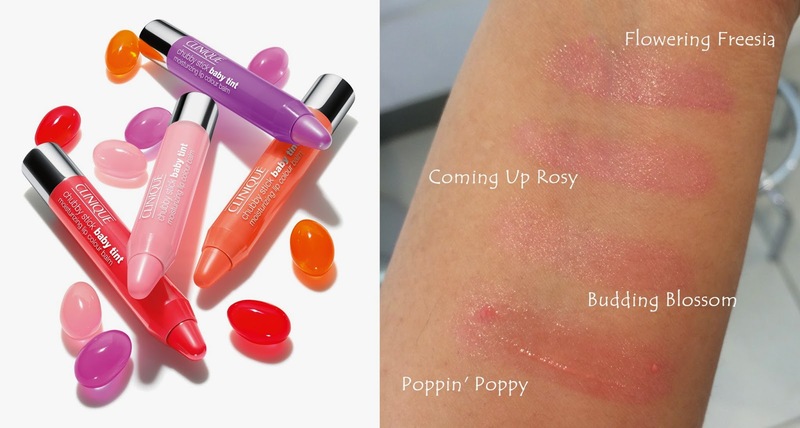 Available in four shades Poppin’ Poppy, Coming Up Rosy, Budding Blossom, Flowering Freesia. Will you be trying these new additions out? 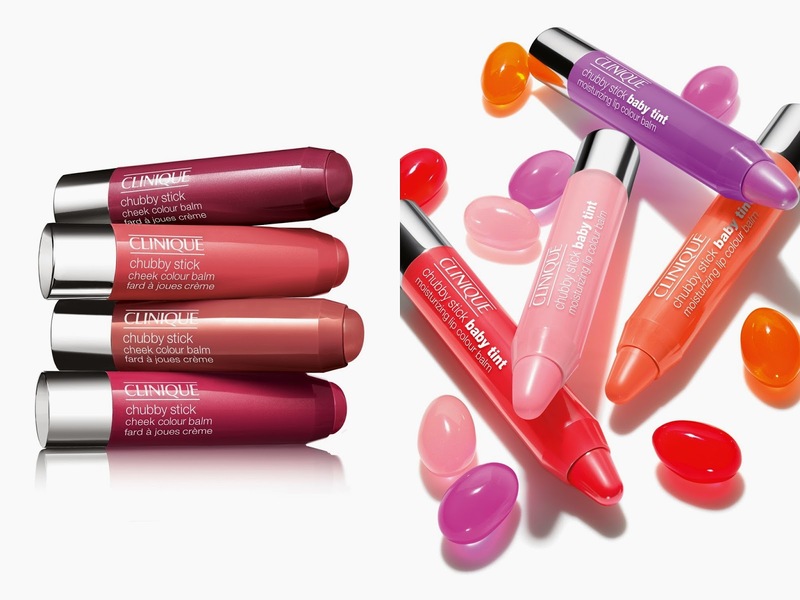 What’s your favourite from the new additions to Clinique Chubby Stick family? Share in the comments below or tweet me @aspiring_london!